"Trying out this combination of quiche recipes." I didn't have the tomatoes on hand so I used broccoli instead. Everyone loved it! Even my picky husband and father-in-law!! 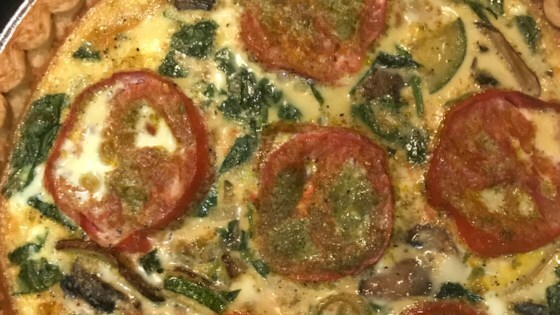 I have never made quiche before and found this recipe easy and quite tasty! Yum!